Catladyland: Cats are Funny: Rejoice! Today is National Cat Lady Day! It's about time cat ladies had their own day, and today is it. That's right, friends -- April 19 is, and shall always be, recognized as the official National Cat Lady Day. 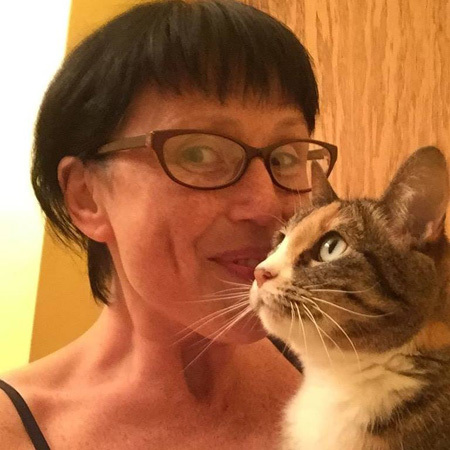 CatCon creator, Susan Michals, says of National Cat Lady Day: "The notion of the cat lady as a dowdy spinster has shifted dramatically over the past few years. Now it's chic to be a cat lady! Designers like Stella McCartney and Kate Spade are using cats in their designs, and celebrities like Dita VonTeese, Ke$ha, and Kate McKinnon are embracing their love of the feline with enthusiasm." I, for one, and relieved that the world is finally realizing you can be a cat lady, and also be social, have a sense of style, and show some sass. Phoebe celebrates National Cat Lady Day by ignoring me. To demonstrate how far we've come, CatCon created a video featuring the modern cat lady. Come on, girls -- it's time to fly your chic flag! 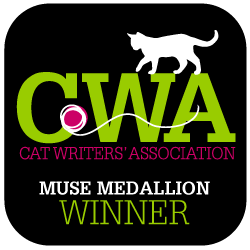 CatCon, the convention with cattitude, takes place on August 12 and 13 in Pasadena. Tickets go on sale May 2. To keep up with all things CatCon, sign up for the newsletter, and follow them on Facebook, Twitter, and Instagram.